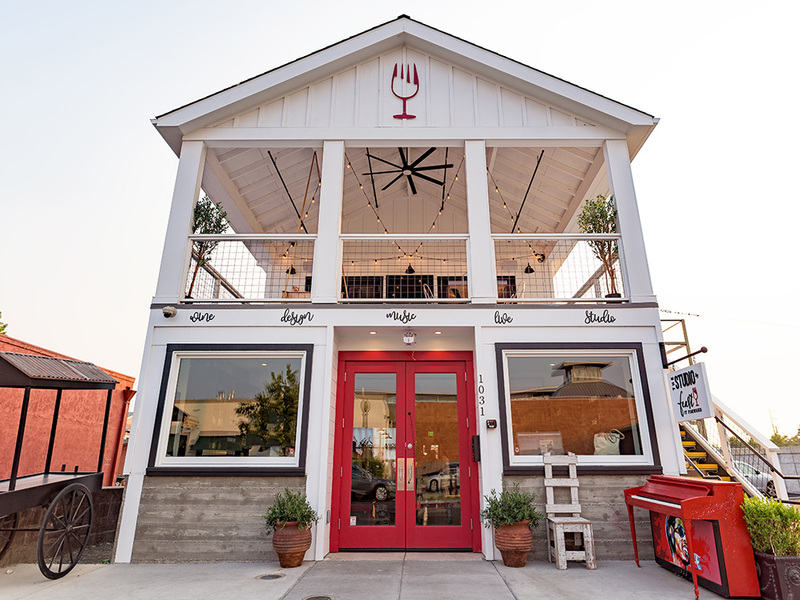 The Studio is a new vintner collective tasting room and retail space in downtown Napa that features awesome wines from a number of small producers throughout the valley. Three Gibbs wines are available at all times by the glass, bottle or as part of a tasting flight. Enjoy the wines at the downstairs tasting bar or take them outside to one of the many couches, tables or suspended daybeds around the property. Upstairs you’ll find a wraparound deck offering views of the Napa River and green space, as well as a full test kitchen where chefs such as Jacques Pepin and Rick Moonen will lead private cooking demonstrations paired with delicious wines. We are dog and family friendly!